2X Monroe Econo Matic Front Complete Struts. 2X Monroe Matic Plus. 2X Front Sway Bar Links. �Available for older model-year passenger cars, light trucks, and SUVs. This part generally fits Chevrolet vehicles and includes models such as HHR with the trims of SS Wagon 4-Door. The engine types may include 2.0L 1998CC 122Cu. This part fits vehicles made in the following years 2008, 2009, 2010. "Gabriel Shock and Strut Mount --. Vital component for complete strut repair ". Notes Location : Front. Location : Front. Therefore all implied warranties that may apply to your part are limited to the duration of this written warranty. 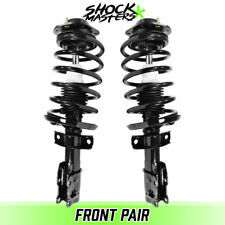 "Unity Shock Absorber and Strut Assembly -- - - ". Series : Unity Shock Absorber and Strut Assembly. Type : Strut Assembly. Notes FWD, Location : Front Driver and Passenger Side. Quantity sold : Set of 2. "OES Genuine Strut Bearing --. OES GENUINE STRUT BEARING. Therefore all implied warranties that may apply to your part are limited to the duration of this written warranty. Each warranty gives you specific rights, and you may have other rights which vary from state to state. This part generally fits Chevrolet vehicles and includes models such as HHR with the trims of Comfort LT Wagon 4-Door, Edicion Especial Wagon 4-Door, Elegance LT Wagon 4-Door, LS Panel Wagon 2-Door, LS Wagon 4-Door, LT Panel Wagon 2-Door, LT Wagon 4-Door, SS Panel Wagon 2-Door, SS Wagon 4-Door. "KYB Shock Absorber and Strut Assembly --. KYB – GR-2/EXCEL-G SHOCK ABSORBERS AND STRUT ASSEMBLY SET. 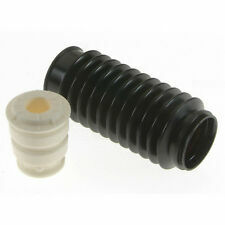 Type : Shock Absorber. Series : KYB GR-2/Excel-G. 2 Shock Absrobers. Quantity sold : Set of 2. Includes solid mounting eye rings and bolt bushings for noise-free function ". Monroe Shocks&Struts. Fit the following only：. After sale. Other Auto Parts. LED Lights. Shocks&Struts. Brakes Disc. People who viewed this item also viewed. 2011 CHEVROLET HHR LS. 2006-2010 CHEVROLET HHR LS. KYB makes it easy to choose the best product for the motorist and for the vehicle. KYB - World Class Shocks and Struts. KYB Excel-G. Location : FRONT LEFT & FRONT RIGHT & REAR. 2006-2011 CHEVROLET HHR. 2006-2011 CHEVROLET HHR 2.2 LITER L4; 2.4 LITER L4 front/right. 2005-2010 CHEVROLET COBALT. 2005-2010 CHEVROLET COBALT 2.0 LITER L4;2.2 LITER L4; 2.4 LITER L4 Front/right. Complete Strut Assemblies. Suspension struts are similar to standard shock absorbers, but have the added function of maintaining part of the suspension design. They are an integral part of a vehicle's suspension system, providing structural support for the vehicle. ITEM FEATURES 1）Fit For : MAKE MODEL YEAR RANGE SPECIFIC DETAILS Chevrolet Cobalt 2005 - 2010 / Chevrolet HHR 2006 - 2011 LS-LS PANEL-LT-LT PANEL Pontiac G5 2007 - 2009 / Pontiac Pursuit 2005-2006 / 2）Handling Time:1 business day. 3）Fitment Type:Direct Replacement / Gas Charged 4）Includes all of the following (where applicable): strut/shock, coil spring, strut/shock mount, boot, bumper kit, spring seat and isolator. 5）Return Policy:Free Return Shipping on damaged or defective items. Front and Rear. Get high quality car parts here at our website! And it is fully tested to ensure a proper fit and performance. Don't miss out! 2 x Front Shock Absorbers 2 x Rear Shock Absorbers. Fully tested to ensure a proper fit and performance.